When Estrella organizes a protest against the treatment of tejanos in their town of Monteseco, Texas, her whole family becomes a target of “repatriation” efforts to send Mexicans “back to Mexico”—whether they were ever Mexican citizens or not. Dumped across the border and separated from half her family, Estrella must figure out a way to survive and care for her mother and baby brother. 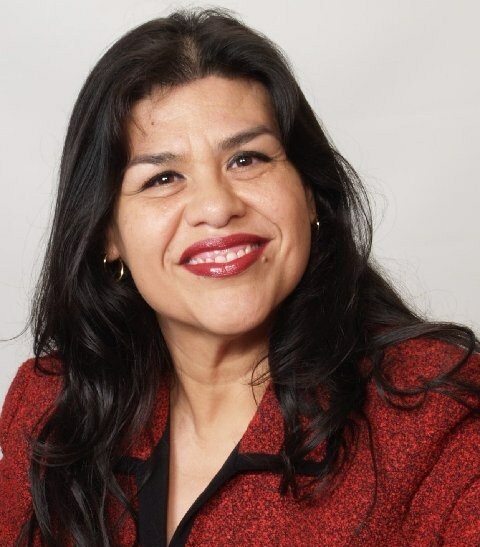 When Estrella organizes a protest against the treatment of tejanos in their town of Monteseco, Texas, her whole family becomes a target of “repatriation” efforts to send Mexicans “back to Mexico”—whether they were ever Mexican citizens or not. Dumped across the border and separated from half her family, Estrella must figure out a way to survive and care for her mother and baby brother. How can she reunite her family and convince her country of birth that she deserves to return home? 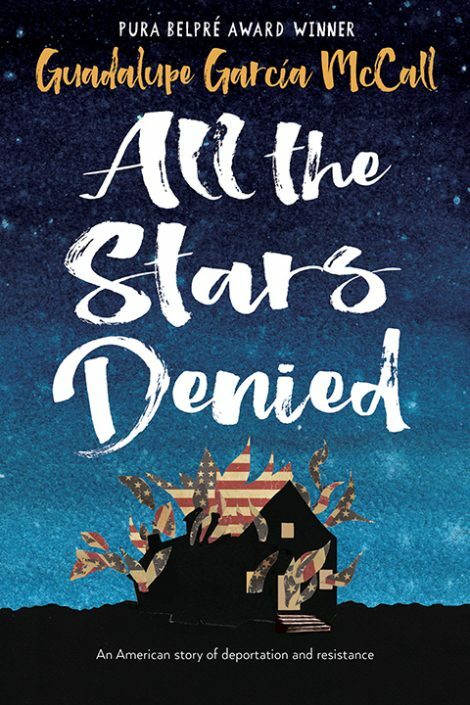 There are no easy answers in the first YA book to tackle the hidden history of the United States and its first mass deportation event that swept up hundreds of thousands of Mexican American citizens during the Great Depression. Guadalupe García McCall was born in Mexico and moved to Texas as a young girl, keeping close ties with family on both sides of the border. Her poems for adults have appeared in more than twenty literary journals, and she won the Pura Belpré Award for her first novel, Under the Mesquite. McCall lives with her husband in the San Antonio, Texas, area. 1. In what way is “repatriation” a euphemism? Why? What would the word be a euphemism for? 2. How does the Great Depression affect the situation Estrella and her family experience? What other factors affect how they are treated by the Monteseco town government? 3. How is the situation in which Estrella’s family find themselves (being deported to Mexico) different for their family than for other Mexican and Mexican American families? How is it similar? 4. How do Estrella’s poems and journal entries add to the narrative? What new perspective do they bring to the story? 5. How are Estrella and her mother restricted by expectations placed on women during this time period? How do they overcome them? 6. What personality traits help Estrella keep her family together during their time in Mexico? 7. How do you think the trauma that Estrella and her family experience will impact them in the future? 8. This book does not italicize Spanish words. Why do you think the author and editor made that decision? Do you agree with it? 9. Many people in America are descended from immigrants. Did your ancestors immigrate to the United States? If so, how do you think it would feel to return to the country they came from? 10. What parallels do you see between the forced deportation of Estrella and her family and current events? What can history teach us about what is happening today? 11. All the Stars Denied is historical fiction. Did you know about this episode in American history? Did you learn anything new that surprised you?